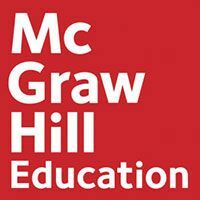 McGraw-Hill Education and ProctorU today announced the launch of a new partnership that will enable higher education institutions to deliver digital ALEKS Placement, Preparation and Learning (ALEKS PPL) exams with ProctorU's secure remote proctoring system. Through the partnership, customers will be able to access both ALEKS PPL and ProctorU services through a discounted bundle package. ALEKS PPL is an adaptive placement solution that assesses what students already know and what they are ready to learn next, and, based on their performance on the assessment, provides students with the opportunity to improve their placement scores through an individualized, adaptive learning path in the ALEKS Prep and Learning Module. By using ProctorU's service, colleges will be able to ensure a level of validity to ALEKS PPL assessments that would otherwise come from having a live human proctor. Participating colleges and universities will be able to choose from several ProctorU packages with their ALEKS PPL subscription, including ProctorU Live, a service through which a live ProctorU proctor connects with each student via webcam during an exam, monitoring the test-taker's screen throughout the entirety of the examination.